When Walmart and the rest of Northwest Arkansas’ mighty companies got together a few years ago they all agreed that corporate recruiting to one of the countries’ most beautiful regions was a serious challenge. Why? Simply, people outside of the region didn’t know much about it. 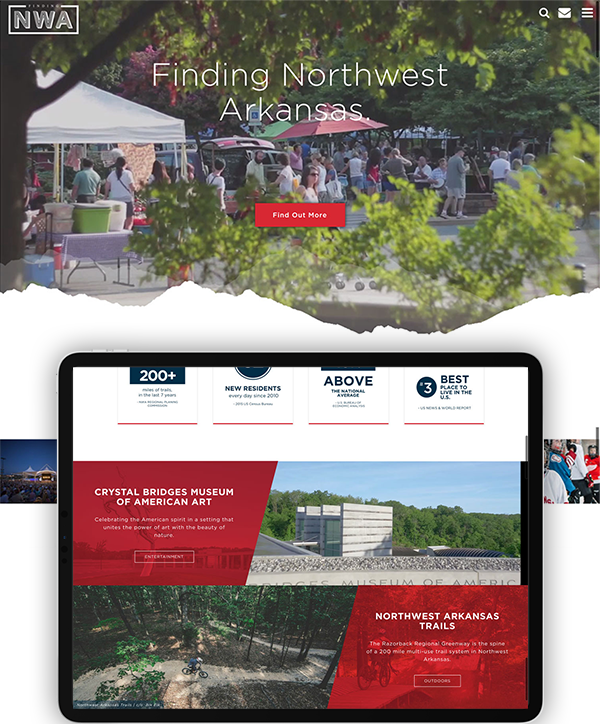 Enter the NWA Council who commissioned us to conceptualize, build, and launch Northwest Arkansas’ premier marketing site – Finding NWA. The photographs, copy, graphics, videos and statistics tell a story about the region that now ranks among the nation’s fastest-growing places. 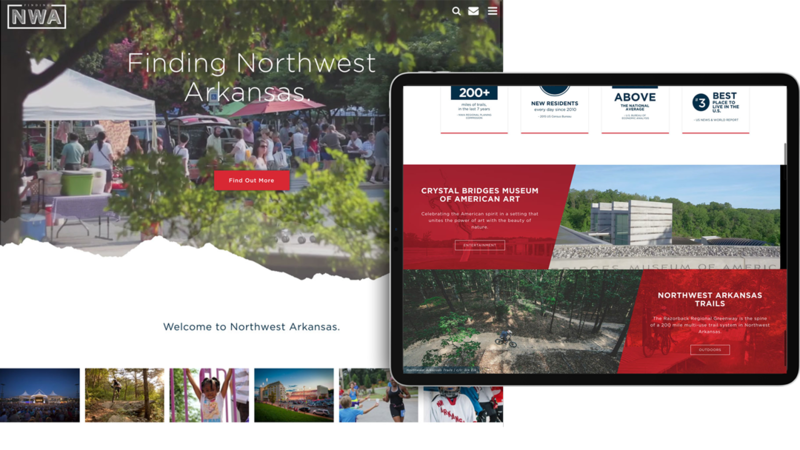 Have you discovered Northwest Arkansas yet?